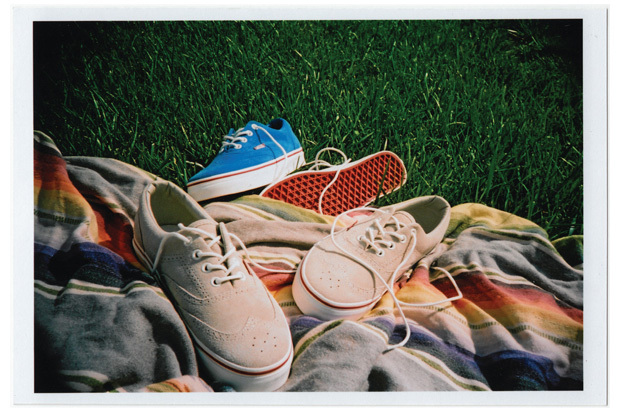 Shown is a preview of two upcoming colorways in the Era Wingtip, a reinterpretation of the classic Era design for the Vans California Collection. The shoes see a full suede upper with wingtip detailing throughout. A tonal blue as well as a cement colorway look to drop in July 2010 via Vans California stockists.